At Selnet we recognise the importance of good advice to help you develop your social enterprise. While there are a lot of similarities between social enterprises and private businesses, we believe that there are a lot of differences too, often something that business advisors don’t understand, or if they do recognise, don’t always know how to deal with. Between them they have a range of specialisms in all business areas e.g. business strategy & growth, marketing and financial planning. They have experience of working with social enterprises whatever the legal structure and in all business sectors. We are confident that we can find an advisor to suit your needs. If your organisation is established, but needs a little extra help to develop and grow, then get in touch to see how we can help. You may be able to access business advice free of charge, or if you are not eligible, we will give you a transparent quote of the cost. 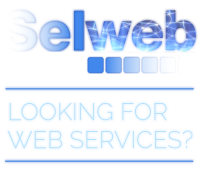 Phone us on 01772 200690 or email tracy@selnet-uk.com.